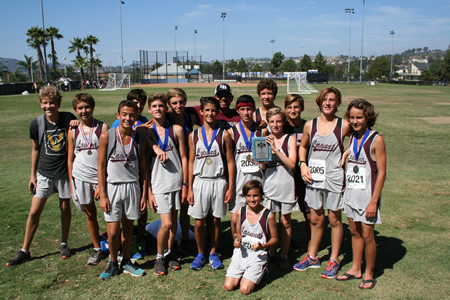 Laguna Beach’s varsity boys cross country team won the Dana Hills Invitational last Saturday, Sept. 26, and the freshmen boys took first for the third week in a row. 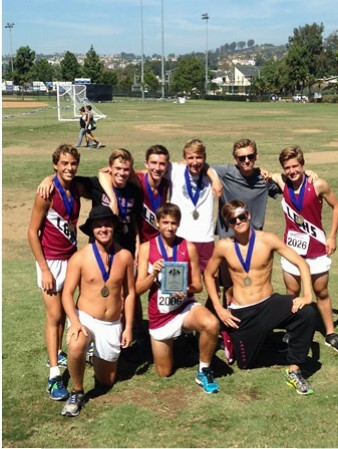 Freshman runners, from left, back: Michael Mead, Andrew Doudna, Carter Sokolovic, Zack Falkowski, Coach Kevin Tovar, Sam Reynolds and Cole Hunt; front, Caleb Hardy, Sebastian Fisher, Kevin Smith, Leo Pasquera , Connor Gioffredi, Zack Bonnin and Colin Johnson; front, Luke Pacheco. Photos by Coach Scott Wittkop. Varsity runners, from left, back row: Luc La Montagne, Jaden Orr, William Kramer, Ayrton Svenson, Liam Duncan and Massimo Lucidi; front, Mason Pitz, Drake Butler and Tim Andrews (Not picturedL Cale Airey). She joined the York Glaziers Trust in January 2016.